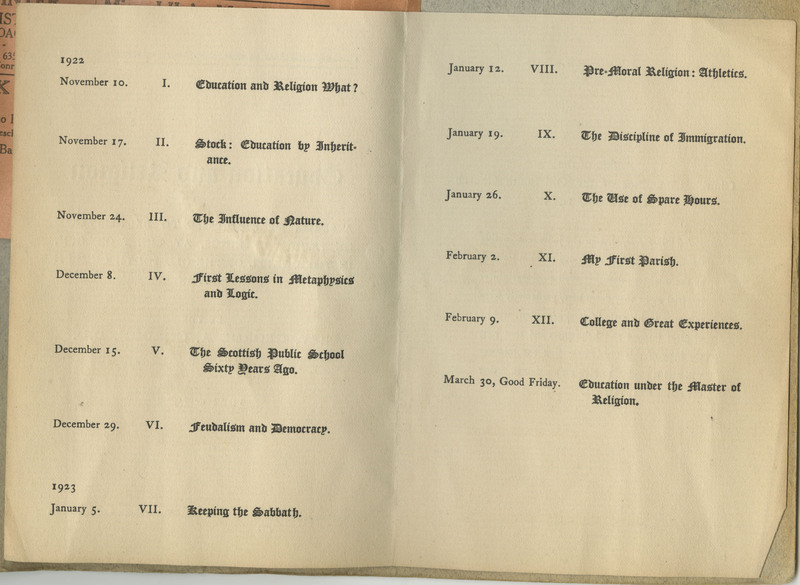 The Ruth D. Gates Digital Scrapbook | Program for "Education and Religion"
Program for "Education and Religion"
Transcription: "Education and religion / a series of addresses to be delivered / on friday evenings, at eight o'clock, / in the chapel of the old south church / boston / by the / Rev. 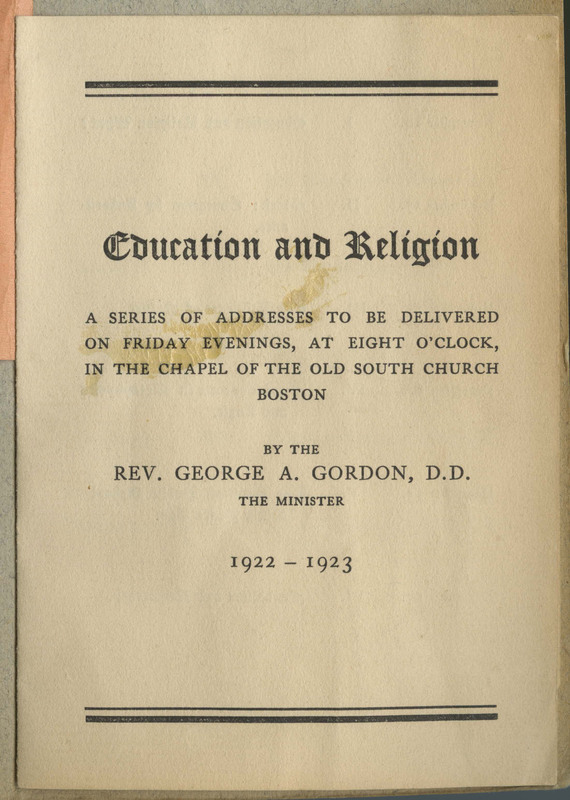 George A. Gordon, D.D. 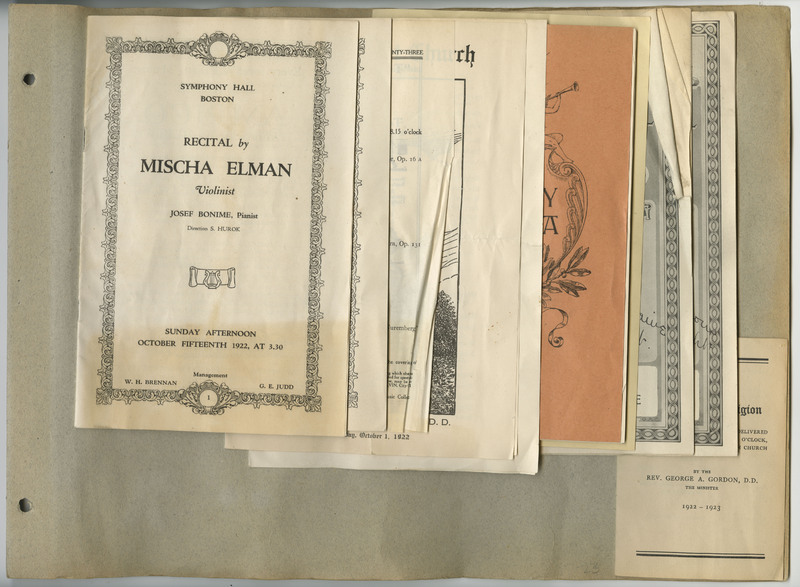 / the minister / 1922 - 1923"
unknown, “Program for "Education and Religion",” The Ruth D. Gates Digital Scrapbook, accessed April 19, 2019, https://slis.simmons.edu/ruthgates/items/show/292.